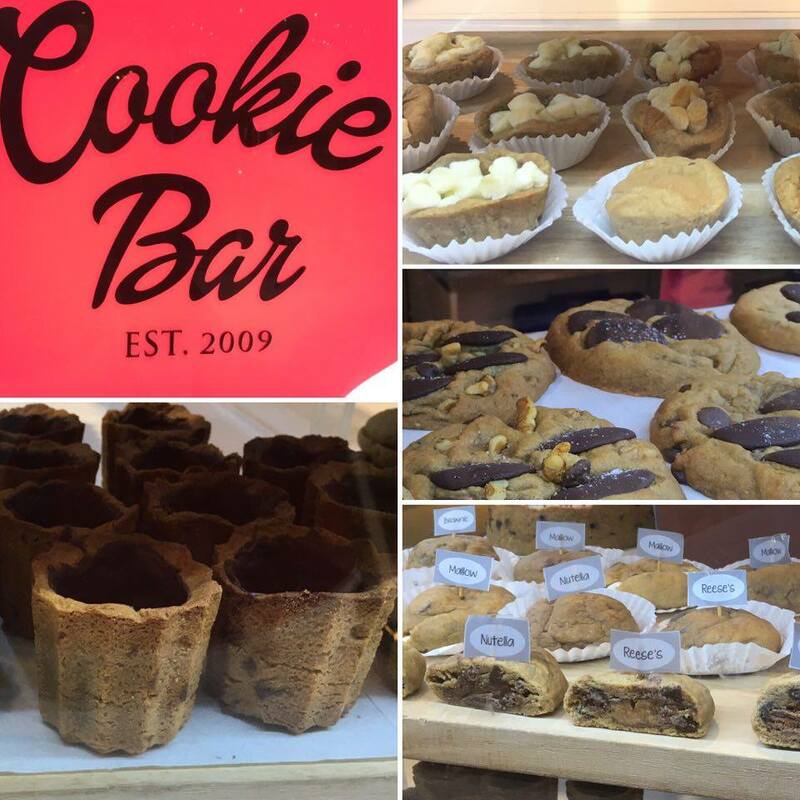 Cookie Bar Manila is a kiosk located on the Second Level of The Podium Mall in Ortigas Center, Mandaluyong City. 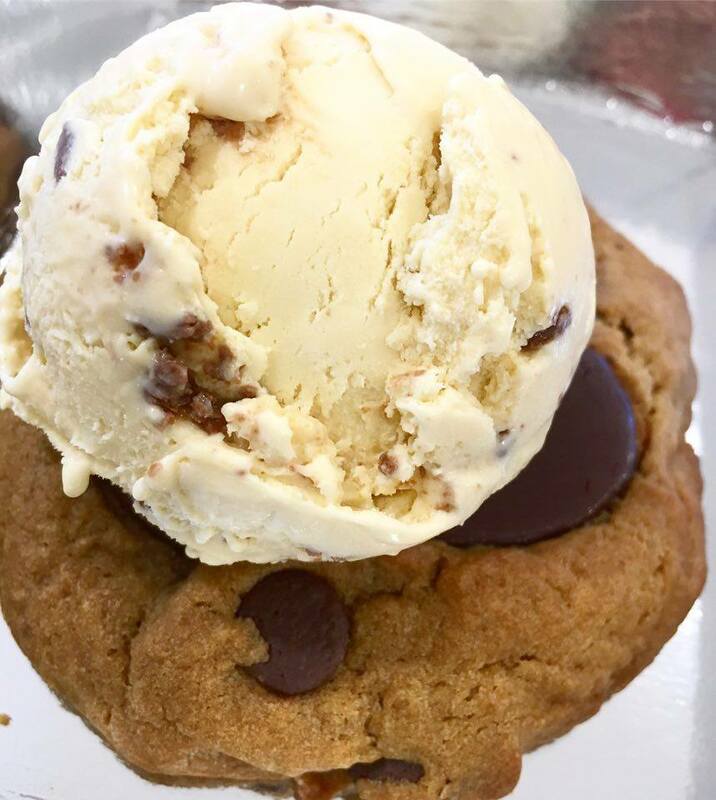 The latter offer all types of cookies from cookie dough, cookie shots, cookie dough cheesecake, cookie cake, stuffed cookies, cookie cups, cookie sandwich and jumbo cookies. Me, my sister and her friend got curious about the wide variety of cookies that Cookie Bar Manila is offering. The cookies are a bit pricey compared with the regular ones in the market but I must say that the look of each cookies are appealing. 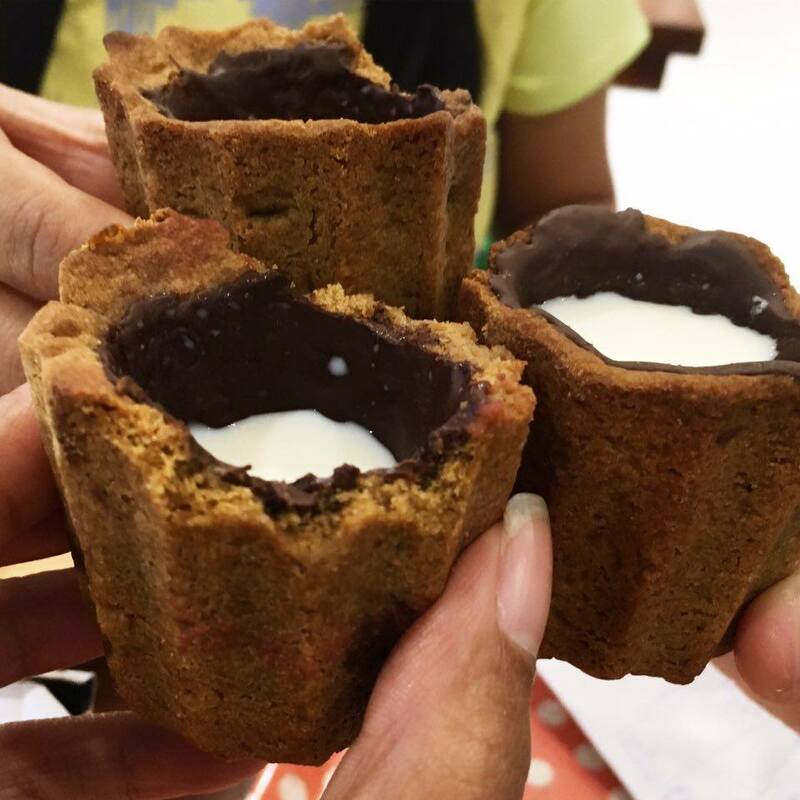 First, we tried their best seller, the cookie shots. The former is a cookie molded like a glass and coated with chocolate on the inside. You can pour and drink milk on it or top it up with ice cream. 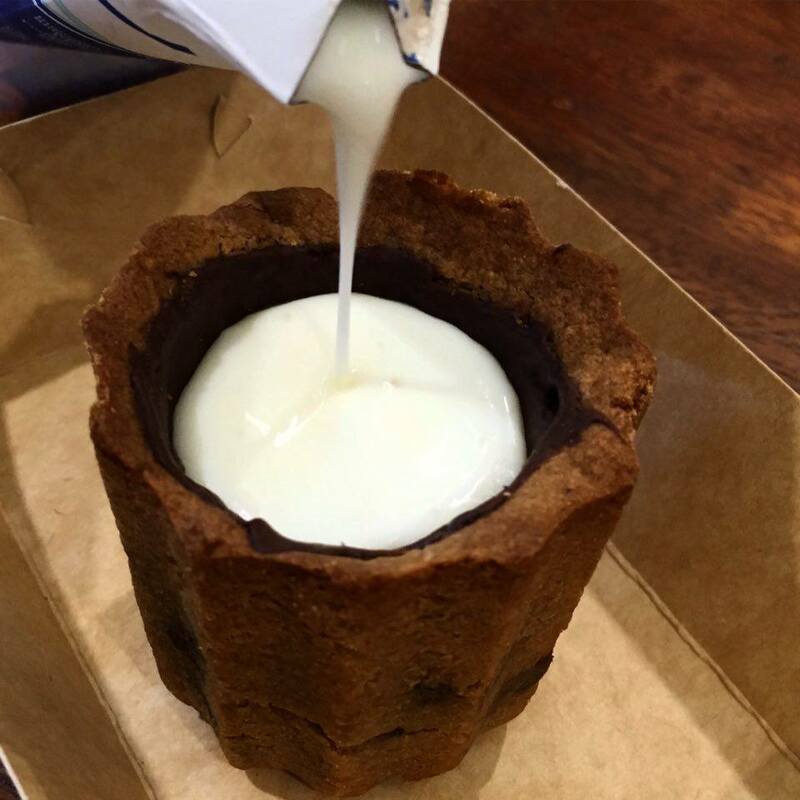 We choose to pour milk on it and drink from it while little by little munching the cookie shot glass. Cookie shots poured with milk. I find the cookie not sweet and hard to eat. It needs a bit more heating so that it can loosen a bit but still have the consistency to hold the milk or ice cream that will be poured on it. I expected that the chocolate coating from the inside of it will mix a little bit with the milk to infuse a chocolaty taste but it didn't and that made the taste of the cookie shot plain. It is typically eating a cookie shaped shot glass and drink milk from it. After munching the cookie shots, we tried their jumbo chocolate chip cookie with sea salt a la mode. Out of five choices of ice cream, two were available when we visit- vanilla and nutella ferrero. I choose vanilla and my sister got nutella ferrero. The jumbo cookie is soft but the chocolate chips are hard to cut, we ended up eating the edges and leave the center where three or four big chocolate chips are piled. The ice cream tastes good, the creaminess and the rich flavor of it is not the same as the typical ice cream available in the market but we find the taste weird because the vanilla that I ordered tastes like cheese and the nutella ferrero tastes coffee. Like the cookie shots, the jumbo chocolate chip cookie needs a bit more heating so that the chocolate chip will melt a bit so that it can mix up with the ice cream that will be placed on top of it. 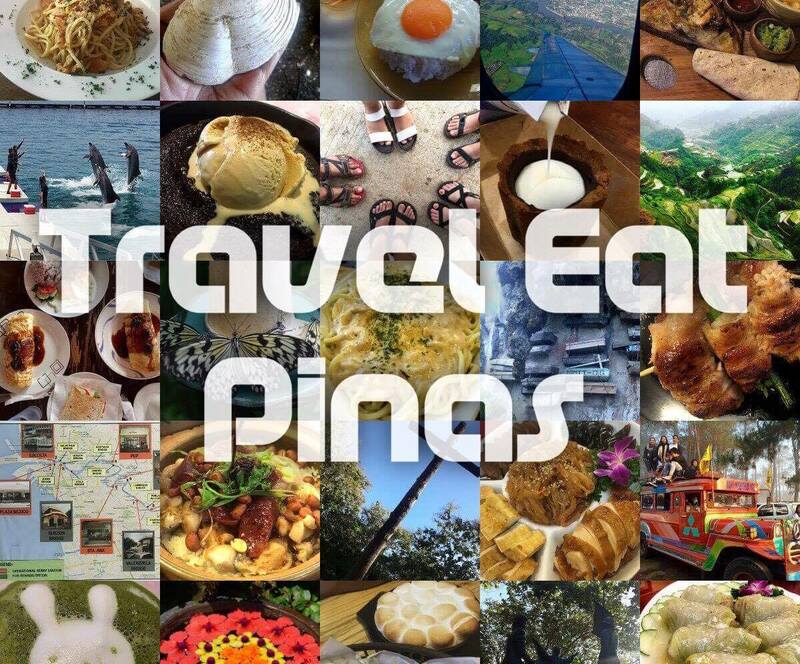 For now I will give Cookie Bar Manila a NAY because I was not satisfied with the cookies that I ate but I still want to try this some other time if there would be some changes. I'm living on the wrong side of the world oh my YUMMMMMO!